Some of the most stunning campsites in New Brunswick will be closed for good when summer dwindles. 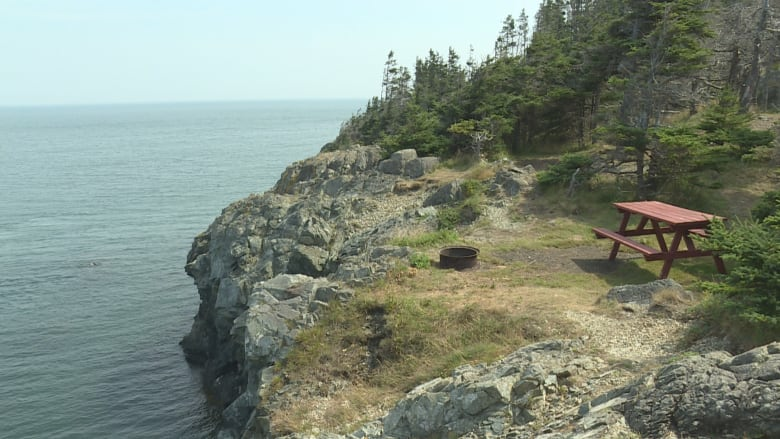 The Hole-In-the-Wall campground on Grand Manan is shutting down about 50 of its cliff-side campsites on the weekend of Sept. 15. Through the ocean spray and choppy winds aboard the ferry, the campsites are often the first thing you see when sailing to Grand Manan. 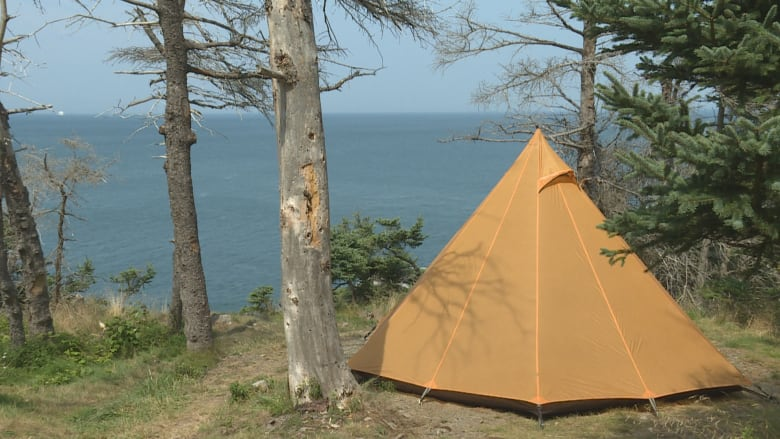 Snuggled into the cliffs like colourful nests, the tents in the campsites offer some of the best vistas available on New Brunswick's south coast. They're situated so close to the open ocean that campers often hear the sound of whales breaching as they surface for air overnight. 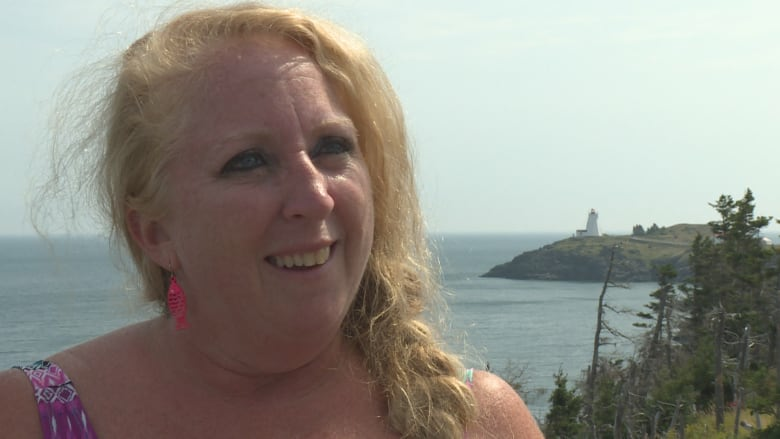 "We've never felt unsafe," said Lisa Weaver of Cumberland Bay, who has been coming to Hole-in-the-Wall every summer for nearly 20 years. "It's just so beautiful. You see wildlife. Eagles and seals. You get to see the fishermen come and go. And it's like when you leave the mainland all your cares get left behind in the wake of the ferry." Weaver can tell the time by noting the ferry crossings throughout the day. And she said she enjoys the regular rhythm of the foghorn from the Swallowtail Lighthouse, a sound not always appreciated by the uninitiated, especially through the wee hours of the morning. 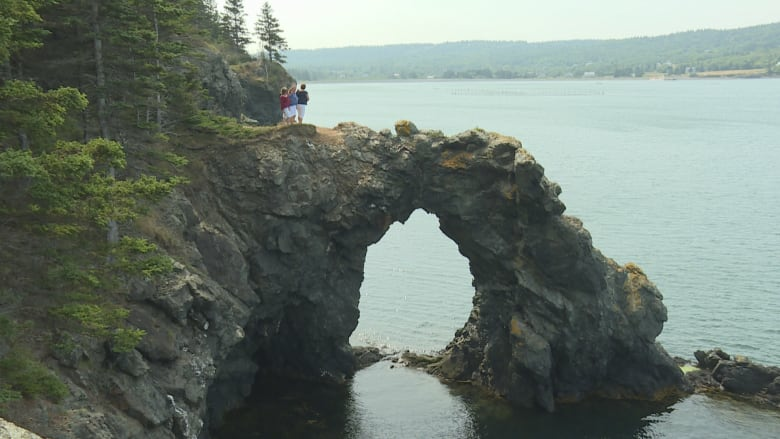 Named for the "rocky doughnut" shaped stone formation along its coast, the Hole-in-the-Wall land has been in the same family for more than 200 years. Fire pits and picnic tables are often spitting distance from the rocky sheers that drop dozens of metres into the ocean below. But its owners cite the increasing cost of maintenance and manpower needed for upkeep to explain the closure. 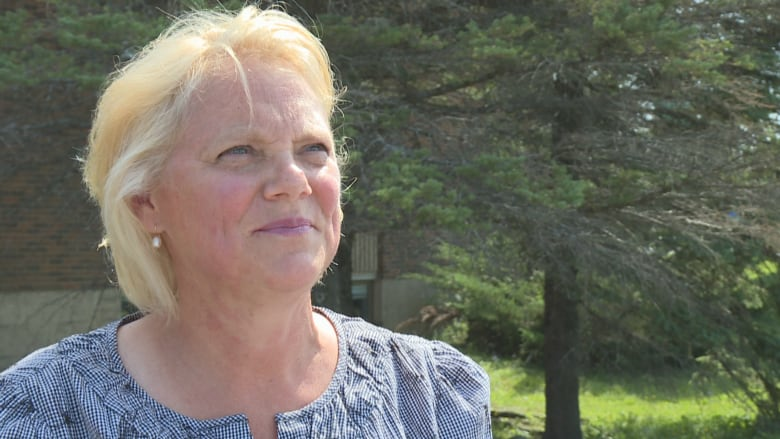 "It's a lot of maintenance," said Karen Wishart, daughter of the campground owner. "And in order to prepare it for what the future needs for camping, it would be a huge financial and human resource investment. And as a family we are not prepared to do that." 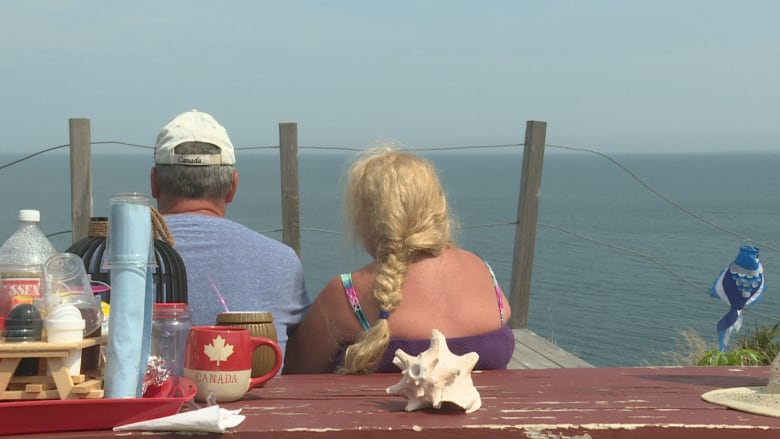 Wishart said the hiking trails and access to the Hole-in-the-Wall will remain open next summer, as well as a few of the mainland camping sites. And she said the family is open to ideas and investment in the future. 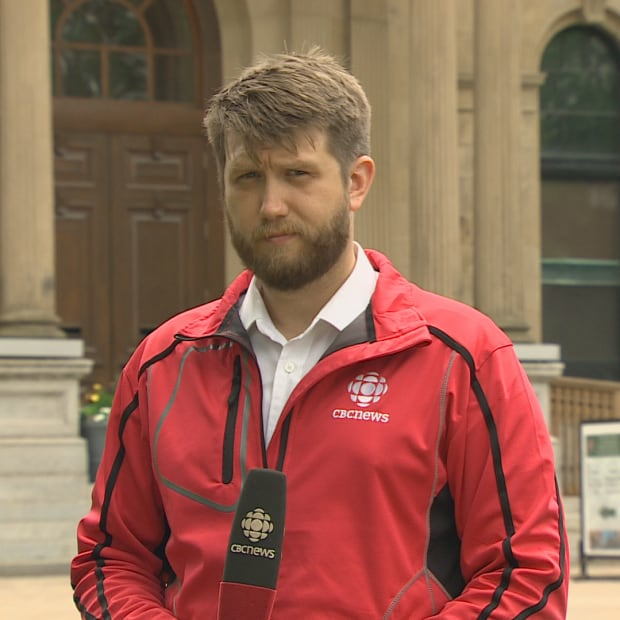 Wishart said the decision to close the cliff campgrounds was made earlier this year, but it wasn't announced until August to keep from disappointing this season's campers. Once Weaver finishes her week-long stay on the cliffs, she'll feel a portion of her heaven will be gone, she said. "It was a surprise to me and I cried," Weaver said. "Because, like I said, you get here and things melt away. And you always think, 'This is the rock I can come back too.' And it's such a pleasure every year."